This beautiful clear multi-faceted crystal sphere hangs from a strand of faceted beads representing the colors of the chakras. 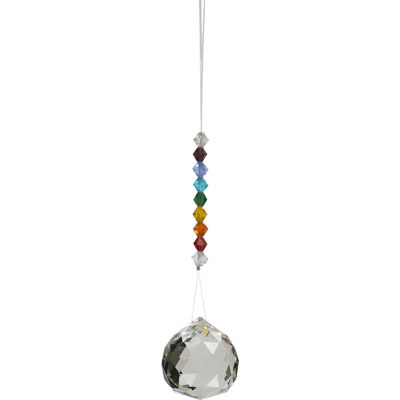 The crystal can be hung in your home, patio or garden; anywhere you want to add sparkle and shine. 40mm sphere.